When a home’s in sync, peace of mind takes care of itself. Because of this, countless homeowners are migrating to smarter homes with Swanton Energy Services. With our smart products, as long as you have access to a phone, tablet or computer, you have control over your nest—even when you’re out and about! Under the wing of our Wi-Fi thermostats and connected home devices, your life is easier, safer and more efficient. How Can You Be a Smarter Chickadee? 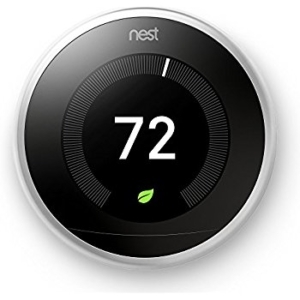 A Wi-Fi thermostat gives you total control over your heating or cooling system—from anywhere at anytime. Here’s how it works. Our smart thermostat learns your temperature preferences and your routine. Then, it uses this information to establish a comfort schedule that’s tailored to your life and your budget. Depending on whether you’re home, at work, asleep or away, this thermostat automatically adjusts to the most energy- and cost-efficient temperature. This, in turn, takes your home’s efficiency and your savings to new heights. But that’s not all. By tracking and reporting your equipment’s usage and its associated temperature data, your Wi-Fi thermostat provides you with insight on your home’s energy use, too. If you’re wise, you’ll spread your wings and soar toward a more connected home by filling out our online form or calling us at 732-335-6731 today!